Using Facebook, Twitter and Google+ for your online pleasure or for your business is pretty much a given now and everyone has these very cool and very innovative Facebook timeline cover photos or graphics these days. Being able to switch them out and create new ones can be a real hassle… UNLESS… you are lucky enough to find something like this online web based timeline graphic editing tool called TimelineCoverBanner When I first tried it I could not believe just how simple it was to find, adjust and crop a photo or graphic to perfect dimensions and be able to snap in to place with no trouble at all. Here is the Google+ version also. Splashup is an online image/graphic editing tool that allows you to modify photos, edit banners and graphics, add text to your photos or graphics and in general do some “almost Photoshop type” tasks. It comes in two flavors… the regular one with all the amazing features and the Splashup Light version if you just need to touch up a photo or do casual image editing. Excellent features, simple to use and you can import/share right from your Picasa, flickr, Facebook accounts! There are literally tons of times when you want to take a screen shot or clip of a sample graphic, a website header, a warning message directly from your desktop screen. One of the best and easiest tools that I have found to do that is the quick to load, always present in your task bar ScreenHunter 6.0. ScreenHunter is dead easy to use and you can set it to snap shots of web pages, screens or simply use your mouse to select a rectangular area of your choice. I’m always searching for photos or images that I can use on my blogs and websites that will ensure that I don’t get into hot water over copyright issues. It is just smart to use photos/images that are free to use and don’t get you in to trouble. The website, morgueFiles, is a great resource for many types of landscape, food, general and even people photos to use. Evernote is a tool that I use DAILY as it is on my iPhone and on my desktop and on the web. I can grab snippits of info to use later, photograph things with my iPhone for reference later, make a quick note, list off a few things I have to do, make a reference to a website (even grab parts of it) for later reading… it truly is an amazing and worthwhile tool to have at your fingertips. I love SpringPad for it’s ability to help me organize my life, keep and track tasks, create lists I can check off and keep me on track when I’m doing any form of ongoing job or task. It too is available as an app on iPhone/Android and web based online so you can access your tasks and lists pretty much 24/7. Really if it was not for Google Drive (which used to be Docs) I would truly be lost. I keep a whack of important documents, notes, spreadsheets and info online on that platform. It makes it simple for me to upload MS Word (old and new formats), PDF’s, Excel spreadsheets and more directly up to that “cloud” storage and I can edit, change and re-save in several formats at any time from pretty much anywhere. I have all my info right at the touch of a mouse button. I have 2 desktops, a laptop (all Windows based), an iPhone and a tablet (Android OS). Combine that with the fact that I have friends/family with MACs and PCs and live in a wide variety of places around the country… I need a way to move files from one platform to another, one computer to another, one person to another in a seamless, simple, quick and secure manner. And DropBox lets me do ALL of that and more… what a fanatastic tool to have on all of your computers. I move files/photos/documents around and store them for future access that I can get to ANYWHERE I have an internet connection. I love this tool immensely and it has saved my bacon many times when I needed something in a pinch. I have Google Calendar open 24/7 and 365 as I use it to keep my appointments straight, mark down important days (birthdays/anniversaries/holidays), mark down things that I need to remind myself of. I can set it to remind me of a webinar, appointment or special day by having it send me an email, a text message on my phone or a pop-up on my desktop… at any time I wish from a couple of days ahead to a couple of minutes ahead of that time. It really does keep me on track and helps me remember all the tasks, appointments and things to do that I have throughout the day, week, month and year. I have it on my iPhone (or Android) and on my desktop at all times. I get all of my MRR, PLR and Resale products from this site which you can sign up free to – Resell-Rights-Weekly.com. There are TONS of products to sell, use as PLR (private label rights) or for personal use (templates, ebooks, software, resources and much more!) there and it has a very helpful and active forum as well. Join free!Quite often in our line of business you need to be able to create quick videos of what you are doing on your desktop or computer screen. Sometimes you need a quick video of some slides (graphics, text and/or photos) that need to be compiled in to an advertising, training or reference video. There are two tools that are quite simple to use… and . Both have features that will help you create simple videos with audio to share or upload to your site and are pretty simple to use. Free video capture/screen capture software that has some incredibly good features and easy to use – Jing or BB FlashBack Express. Both work great for creating videos for marketing, training or advertising. More awesome resources and tools soon… ! 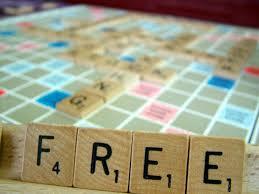 “My Top 10 Freebie Resources | Daryl Austman” on my personal webpage. Please go ahead and “spread the word” as these types of resources should be known by as many as possible. Thanks for reading and thanks for letting others share in these helpful tips. Perfect. I’m gonna use these resources now too.